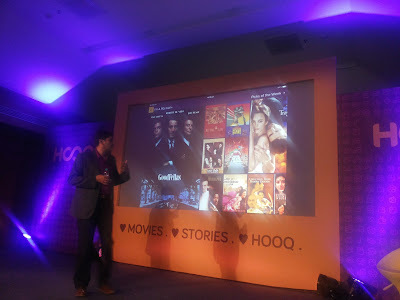 HOOQ, a start-up joint venture between Singtel, Sony Pictures Television and Warner Bros., empowers customers to enjoy unlimited online streaming access and an offline viewing option to top Hollywood and Indian movie and television content, via any device including computers, smartphones, tablets and Android set-top boxes. The service is available from June for just 199 Rupees a month. HOOQ brings to India the biggest Hollywood catalogue where customers can look forward to more than 5,000 Hollywood movies and television series and TV shows. This includes titles from Sony, Warner Bros., Disney India, Dreamworks, and Miramax such as Harry Potter, Spider-Man, Iron Man, Pulp Fiction, and TV series such as Nikita, The Shield and Friends. In addition to top Hollywood favourites, HOOQ offers customers an extensive range of over 10,000 Indian film and TV favourites. To deliver this, HOOQ has partnered with the country’s top studios, including YRF, Disney India, Rajshri, Reliance, Shemaroo, Sri Balaji, AP International, Whacked Out Media and over 50 other studios. ‘We are very excited to bring to Indian consumers the ultimate ad-free video-on-demand service at an amazingly low price. HOOQ will offer India the largest and best catalogue of Hollywood and Indian content of any service available today,’ said HOOQ Chief Executive Officer, Peter Bithos. ‘Our ambition is to always bring the best experience with no compromises. We’ve built our service knowing the constraints and infrastructure issues faced by customers every day. 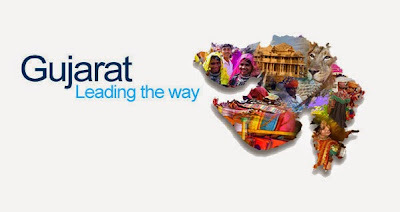 We have designed our service specifically for the challenges of India and other countries like it. HOOQ offers features to ensure you enjoy an uninterrupted viewing experience; including a custom setting for your quality preference, a bandwidth indicator to assess your internet connectivity and adaptive streaming to maximise available bandwidth,’ he added. 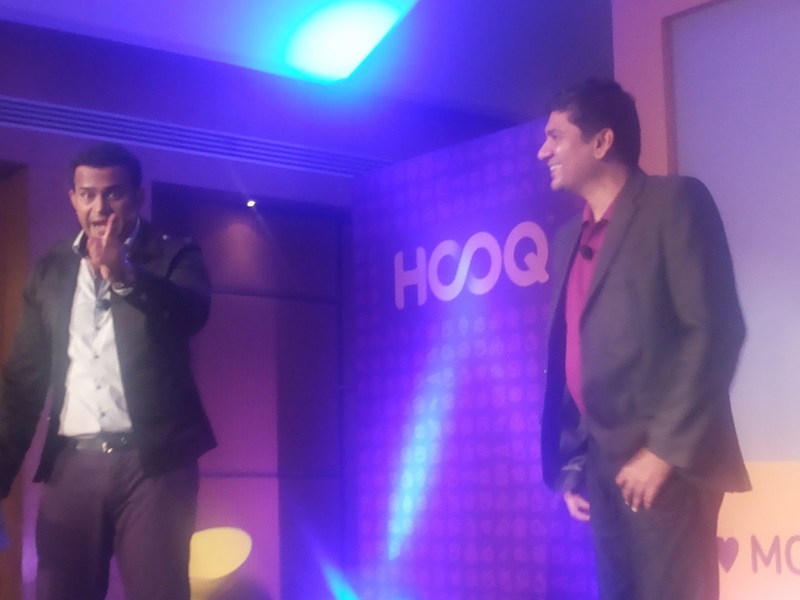 The service will also be accessible to all customers in India through its website www.hooq.tv. Customers can watch videos of their choice and pay for the subscription through multiple e-payment options such as credit card, debit card, cash card, internet banking and mobile wallet. Is Internet Corrupting Your Child? Nischint, a parental guidance and child monitoring companies in India, has released interesting data to gauge the extent of digital consumption amongst kids in India. The figures revealed fascinating data regarding mobile usage amongst children between 5 to 17 years of age. According to data sourced from 14000 family devices (7000 parent devices and 7000 child devices), kids converse with as many as 45 people by making calls each day, which lasts for about 0.32 seconds on an average. The number of SMS messages sent from a child device is an astonishing 18 whereas each kid receives about 20 promo messages per day. These figures throw light on an eye-opening trend that digitally savvy kids are susceptible to a plethora of cyber-attacks and it is imperative for parents to ensure an enjoyable yet secure digital experience for their children. Nischint has constantly endeavoured to provide a secure solution for parents to monitor their kids’ activities and protect them from cyber-crimes. The app has received more than 20,000 downloads, out of which 4000 users access the app on a daily basis and 7000 users access Nischint every two days and ~ 10,000 users access this data atleast once a week. Most of Nischint’s traffic comes from the Delhi NCR region and is followed by Mumbai, Bangalore and Chennai. Nischint has engaged with telecom operators around the world and is now in the process of integrating its award winning solutions for telecom operators in Nigeria and Saudi Arabia. SAP has announced the launch of a Startup Accelerator Program in partnership with CIIE to strengthen the local entrepreneurship ecosystem and provide mentorship to early-stage entrepreneurs. Through this program, SAP and CIIE aim to catalyze assistance from several support organizations such as angel networks, co-working spaces, fabrication labs, incubators, industry associations, and, technology and academic institutions, which have been working towards creating a vibrant entrepreneurial ecosystem in Gujarat. 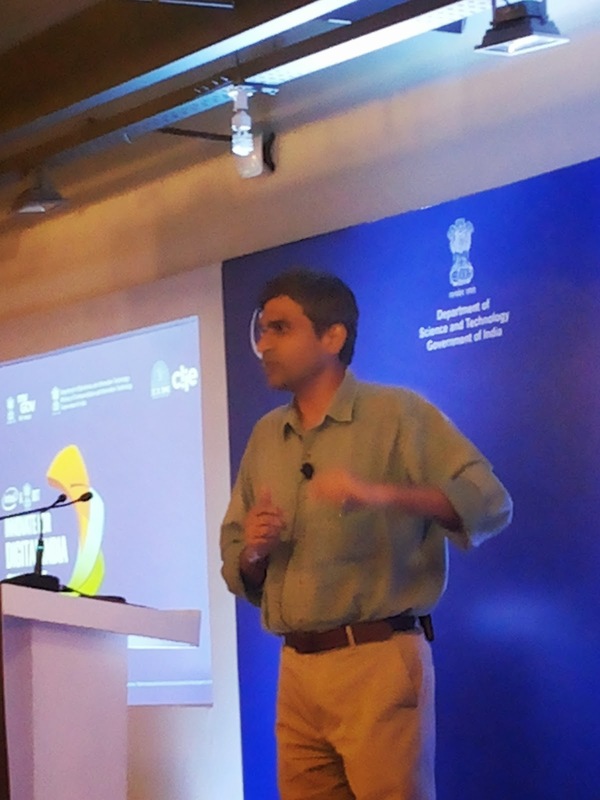 The program will be a significant catalyst of growth for entrepreneurs from emerging towns. Entrepreneurs will undergo a three-month, non-residential boot camp and monthly training workshops. 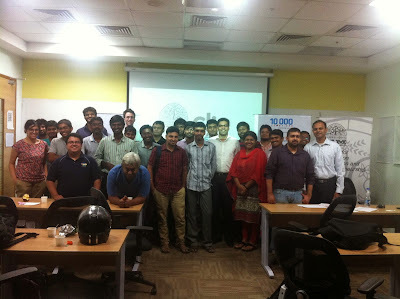 They will be paired with domain experts from SAP Labs Bangalore to get insights into the latest technology innovations. The Startup Accelerator Program aims to create a pipeline of investable startups from this region by scouting for entrepreneurs from Gujarat and providing them with mentorship opportunities. 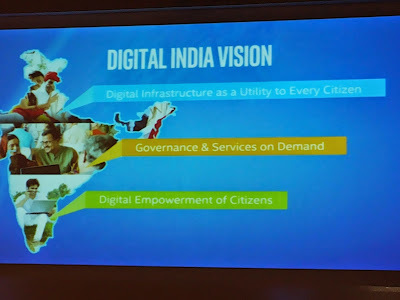 Believing in the power of small business and enterprises to drive innovation and job creation, SAP India is committed to finding unique ways to accelerate the growth of enterprises across the nation through training and technology consulting. Apart from establishing best practices in the area of entrepreneurship, the Startup Accelerator Programwill work towards building stronger collaboration between entrepreneurs and different stakeholders. 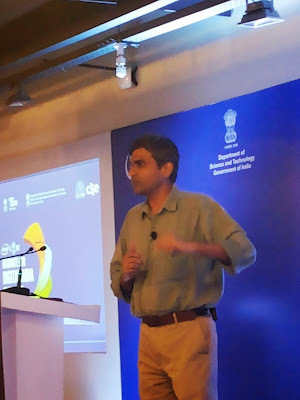 In addition, this program will help develop a robust ecosystem and support entrepreneurs in areas such as Social Entrepreneurship, Healthcare, Education, Sports, Internet, Mobile, Internet of Things, Clean Technology, Smart City and Food & Agri Business by providing them with operational guidance and access to capital. 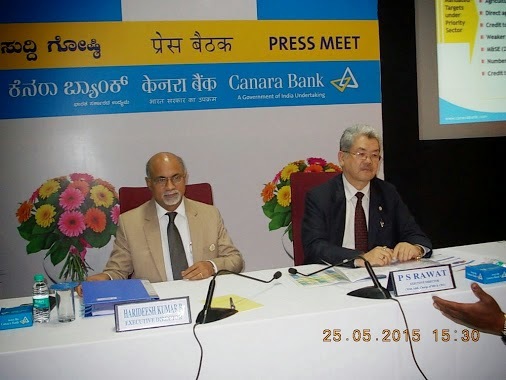 Bengaluru-based public sector lender Canara Bank’s net profit remained flat at Rs 613 crore for the fourth quarter ended March compared to Rs 611 crore in the corresponding quarter last year. Total income of the bank increased seven per cent to Rs 12,429 crore as against Rs 11,610 crore in the year-ago quarter. The operating profit declined 7.9 per cent to Rs 1,733 crore from Rs 1,882 crore a year ago. Despite lower provisions, the bank’s net profit came down. It was due to a decline in net interest income during the quarter. It stood at Rs 2,486 crore as against Rs 2,536 crore, a decline of two per cent year-on-year. The net interest margin for the quarter came down two basis points to 2.25 per cent from 2.27 per cent a year ago. The bank made 7.4 per cent lower of provisions at Rs 1,010 crore as against Rs 1,091 crore in March 2014. Of this, provisions towards non-performing assets stood at Rs 782 crore against Rs 802 crore in the fourth quarter of 2013-14. The gross NPA ratio was at 3.89 per cent from 2.49 per cent at March 2014. The net NPA ratio at 2.65 per cent from 1.98 per cent at March 2014. Cash recovery aggregated to a record level of Rs 5,993 crore compared to Rs 5,494 crore last year. Upgradation was Rs 2,031 crore compared to Rs 2,853 crore last year. 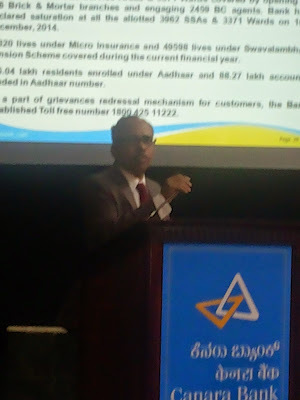 "During the fourth quarter ended March 2015, the bank saw fresh slippage of 2,804 crore. The bank witnessed stress in the areas of power, roads, steel and textile sectors," P S Rawat, senior executive director and in-charge Managing Director and CEO said. 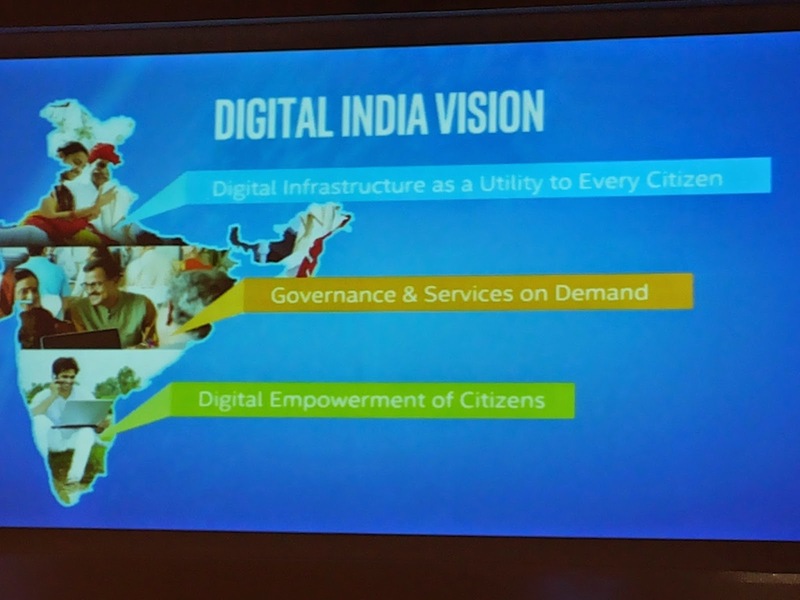 Intel in India and the Department of Science and Technology today announced the call for entries for the Intel & DST- “Innovate for Digital India Challenge”. 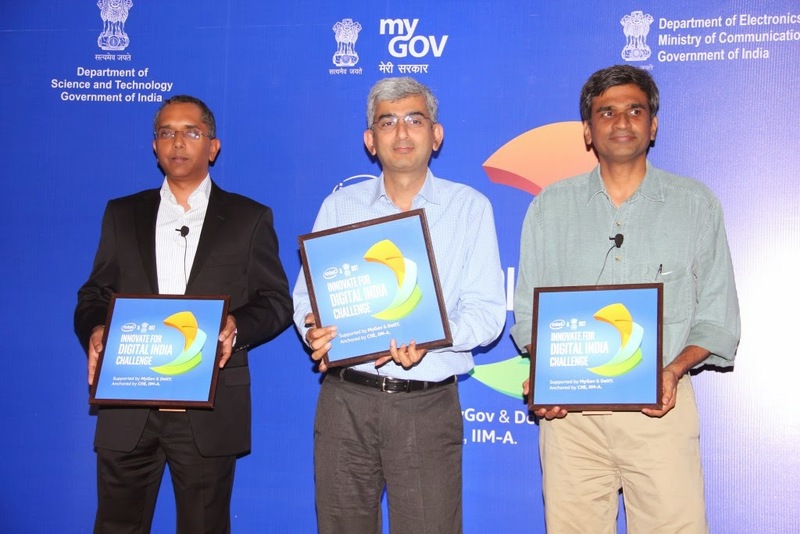 The challenge is aimed at fostering a culture of innovation, create solutions that can address local needs and build an empowered ecosystem for pervasive technology adoption in the country. The challenge will be open to aspiring and existing entrepreneurs, innovators, academia, designers, engineers and makers from diverse backgrounds. To participate in the challenge, candidates must log on towww.innovatefordigitalindia.intel.in and register their projects at the earliest. The registration closes on June 22, 2015. Participants of the Intel & DST- Innovate For Digital India Challenge will be mentored by industry stalwarts and Intel experts. The participants will be trained in technical know-how, will be provided access to product kits and infrastructure and multiple commercialization opportunities. They will be offered market linkages and access to funds at various stages to enable them to make their solutions readily deployable. The challenge has been designed in collaboration with the Department of Science and Technology* (DST), with support from the Department for Electronics and Information Technology*, MyGov.in* and will be managed by IIM Ahmedabad’s Centre for Innovation Incubation and Entrepreneurship*(CIIE). 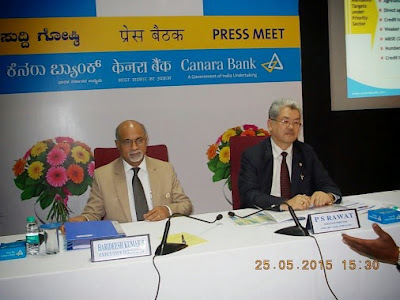 Narendra Bhandari, Director, Software and Services Group, Intel Asia Pacific & Japan, Naganand Doraswamy EVP & co-founder SPAN Infotech & President TIE Bengaluru and Shankar Maruwada, CEO & Co-founder Ekstep led the announcement of the challenge at a press meet today.